Designed with hockey players comfort in mind. 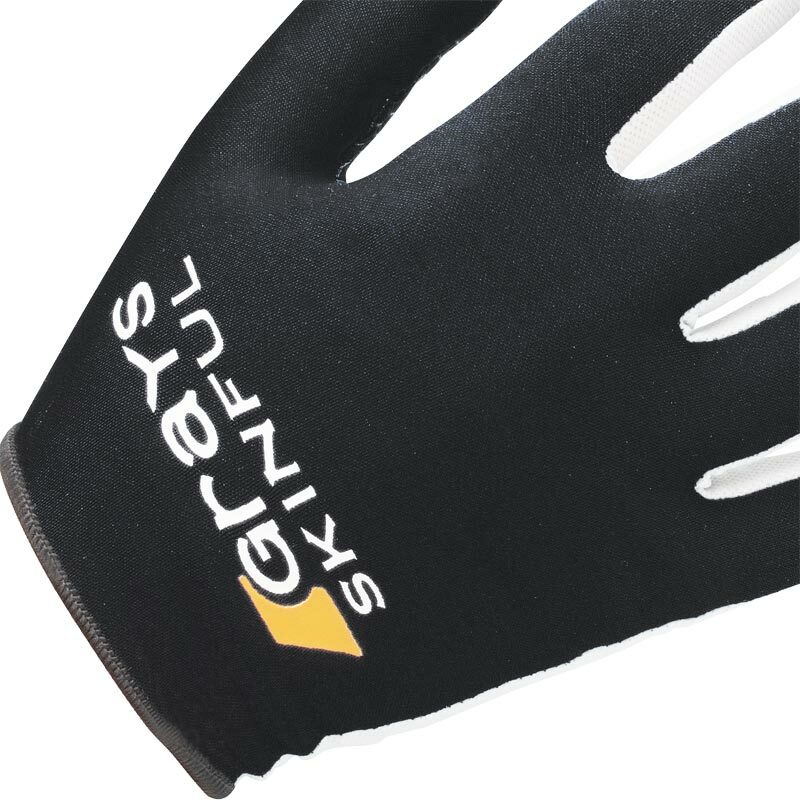 The Grays ® Skinful Hockey Gloves have been developed to keep you warm whilst never compromising grip. Lightweight full finger glove with textured grip pattern on the palm to hold the stick in wet conditions. 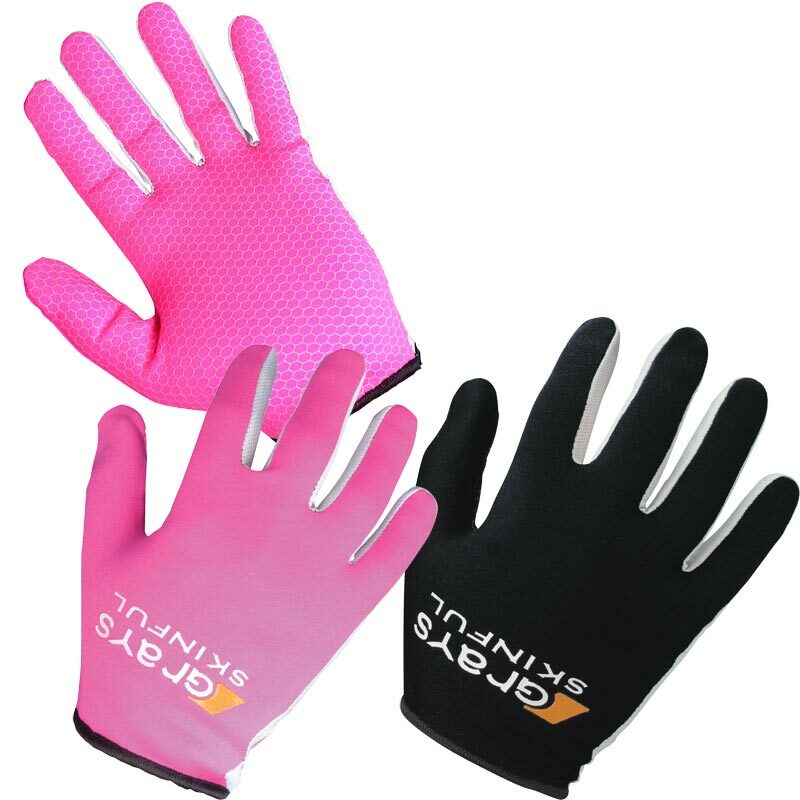 Ideal for junior players to keep hands and fingers warm in cold weather conditions whilst maintaining grip. Available in both junior or senior sizes. Colours - Black or Pink. Really good product. Bought them on the advice of my son. Really keep hands warm with no loss of sensitivity. Fantastic product. Keeps my hands warm, great grip. Would highly recommend! The gloves looked good and were well received by my 10 year old twin boys . They were excited to try them out when at Hockey Practice. They seem like a good purchase, although I have had to re-stitch the seams on both pairs of gloves near the wrist. Good quality hockey gloves. They are perfect for for fitting under the kit to keep the hands warm. Prompt delivery as stated. Bought these gloves for my 8 year old daughter to use for her tennis lessons. They fit perfectly have great grip and keep her hands warm, worth every penny. These were bought as a Christmas present for our 14 year old granddaughter who is an avid hockey player. The gloves were a perfect fit (Small) and it was really helpful to read the other reviews before I ordered. She loves them as they are not too thick to wear when playing. Great service too despite the busy pre-Christmas period! Excellent product at a fair price and love the fact that I could get them in pink. I couldn't find these any cheaper anywhere else. Would definitely recommend to anyone. Literally amazing, completely changed my game play. Warm, comfortable and flexible without compromising the grip of your stick. A great buy. Love these, perfect fit. 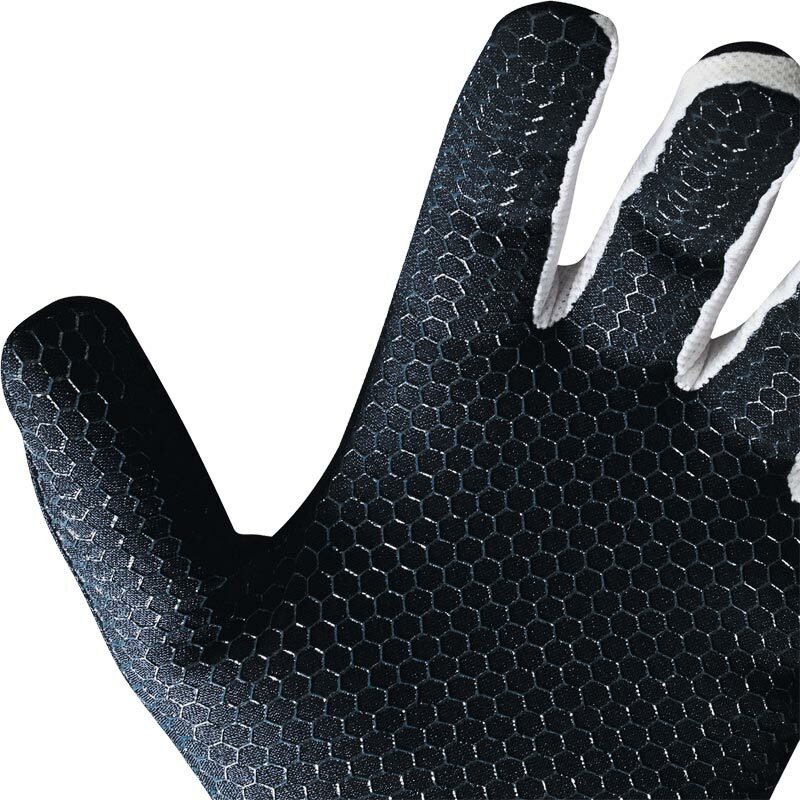 Grip and feeling is superb...these are thin (hence "skinful"), don't get them confused with thicker gloves that offer protection against broken bones - these are excellent at stopping cuts and grazes to knuckles! I bought these for my daughter they fit very well and have a good grip. Very pleased with quality and price of product. My son likes the fact that these gloves have very good grip, are light and don't inhibit any movement. Not very warm though. I purchased these for netball as I have Eczema and needed some hand protection. I sent a photo of them to All England Netball and they approved them. They are very good to play in and I am really pleased with them. Would definately recommend. 4 out of 5 Warm but thin! I can play hockey with these gloves without freezing in the cold and now, I wouldn't have to worry about the weather and just go and play hockey outside! 5 out of 5 A must for Winter hockey! Recently bought these for my teenage son. Great in keeping his hands warm and dry and the non-slip palms really work, allowing a good grip of the stick. Highly recommend this product for play in the cold.